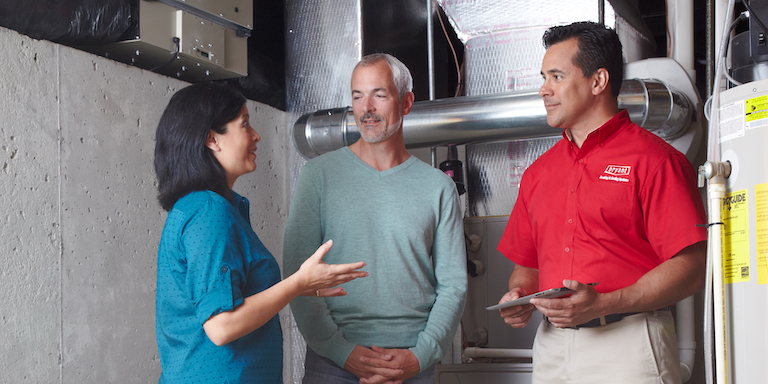 Introduction to the Secrets to Buying an HVAC System Blog & Video Series - Frederick Air, Inc. Thank you for taking the time to read this series of information about the Secrets to Buying an HVAC System. You probably have a need for some heating or air conditioning equipment! If so, I can confidently say you’ve come to the right place. The videos in this series were recorded around 2008 but the information is timeless and still relevant today. If your system has taken an unexpected turn for the worst, please don’t panic. Take a big breath, relax, and look at the big picture. You’re about to make an important decision with long-term implications. The wrong system improperly installed could sentence you to over 20 years of excessive utility and repair bills. A number of years ago, before I founded Frederick Air, I needed to replace the siding and windows in our home. After going through the process of meeting with the salesman, signing an agreement, and having the guy show up to actually do the work, I must say it was one of the most unpleasant and upsetting experiences of my life. Promises that were not kept, schedules that were not met, poor workmanship, and the list goes on. I felt totally abused, and at the mercy of a company that was out to simply get the job done as quickly as possible and walk away with a check. After that experience, I can relate to what my customers fear most. It has truly shaped the way we treat customers here at Frederick Air. In 1992, after extensive training and experience in the HVAC industry, we launched this locally-owned, family run heating and air conditioning service company. Our vision was to be one of the few organizations that, from one generation to another, makes Frederick an even better place to work and live. Frederick Air’s initial goal was to establish a reputation of providing the ultimate in air quality and comfort control for businesses and residences in the Frederick area. Over the years, we have had the great blessing to see that vision come to pass. We have established a company of professionals that work hard each and every day to reach the goals we set out to achieve so many years ago. Ready to get started learning about getting a new system? Click on a link below to read the next related article.